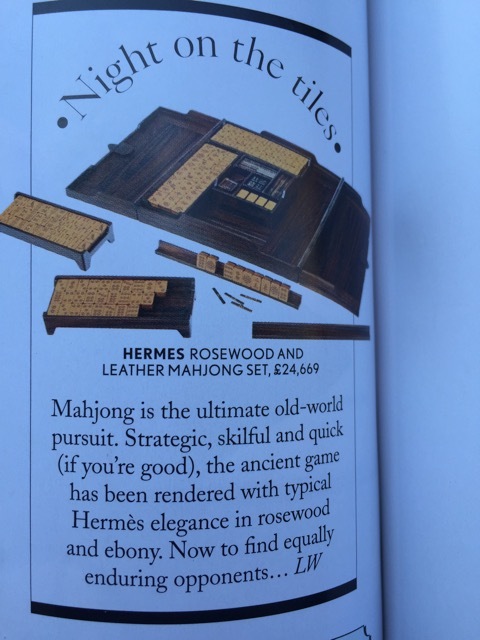 From page 156 in the September issue of British Vogue…and only £24,669! 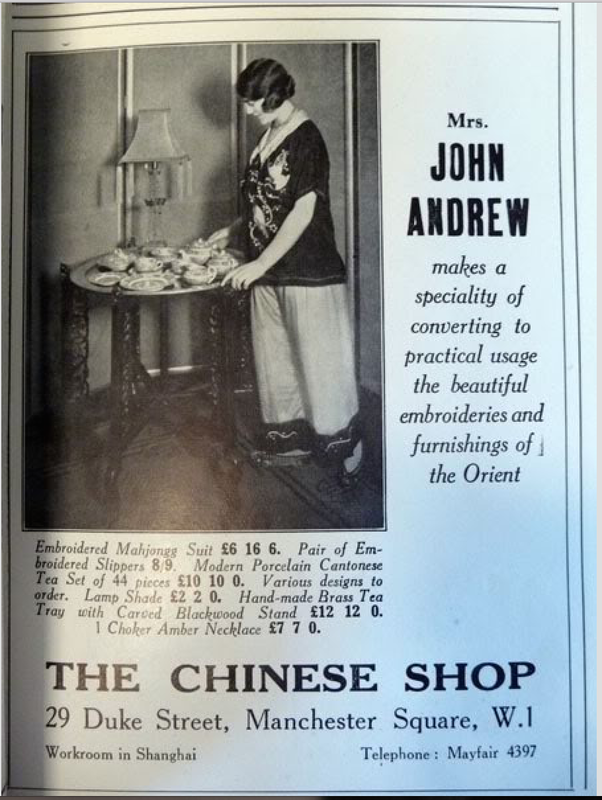 And speaking of British Vogue, how about this advertisement for an “embroidered Mahjongg suit” from a 1920s issue of the magazine – I like these prices much more than the price of that Mahjong set! 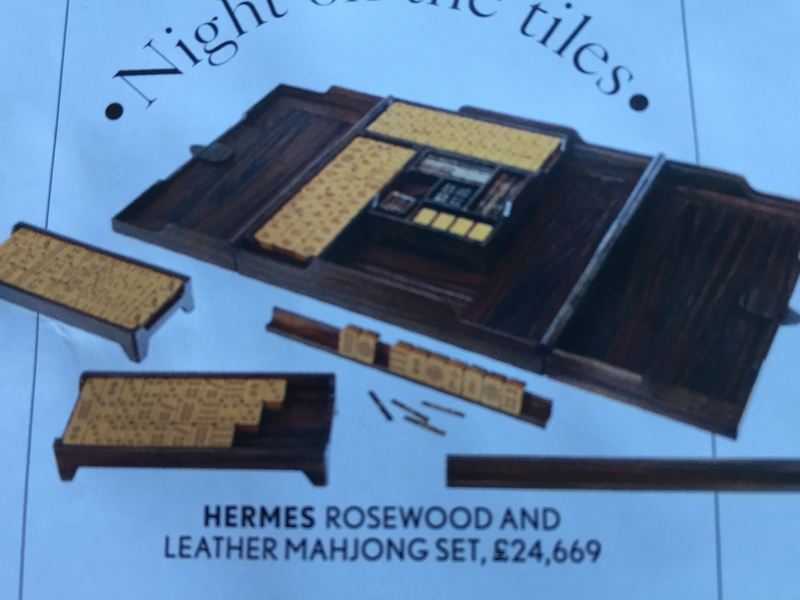 This entry was posted in Mah Jongg and Me and tagged advertisement, British Vogue, ebony, Hermes, leather, mah jong, mah jongg, mahjong, pounds, rosewood, suit, u.s. currency on September 2, 2015 by Mah Jongg and Me. I’d like to order everything in that last photo, too!. LOVE that outfit!! To me it looks like Bone & Bamboo with not very thick bone and a perching parrot #1 bam (south China/Singapore style). I would be happy with the picture, framed and hanging on my wall! Me too! I’d love the brochure – wouldn’t that be great? !